Matt Baird at the Oklahoma Nine Wicket Open Pro Division play. 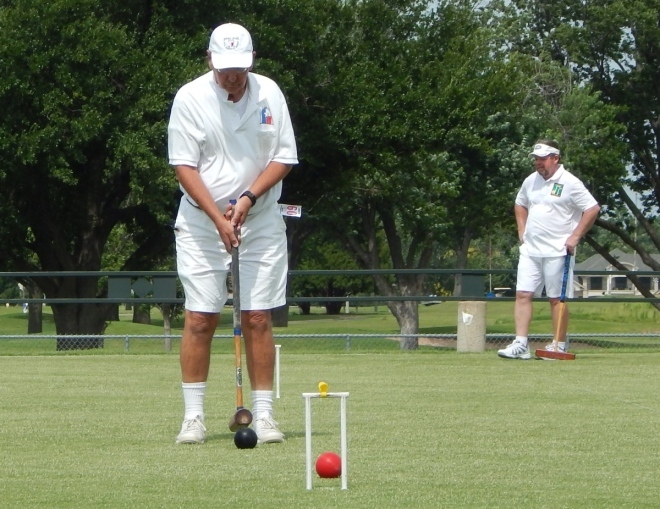 Editor’s Note The Denver Croquet Club has added several events to their hosting schedule for the Nationals. On behalf of the Denver Croquet Club I would like to welcome you to the 2016 9 Wicket Nationals. The tournament is in Pulaski Park. This park is across the street from the Cherry Creek Shopping Center. Aside from the tournament, we will be doing a kids event the morning of the 16th at the Gates Tennis Center Center . We will use the permanent practice and demo court, just outside the Tennis Center. CMA will supply equipment. The Denver Country Club is hosting a Bourbon and Croquet event 5:30 to 7:30 on the 17th for the Tournament. Each paying DCC member is sponsoring a player to the event. Bourbon is being donated by my friends at Mile High Spirits MHS and we will have a croquet challenge during the party paring Croquet Pros with members. This will be a combination of different skill shots for points. The Bourbon & Croquet event is just for participating players and their guests, it is by invitation only. 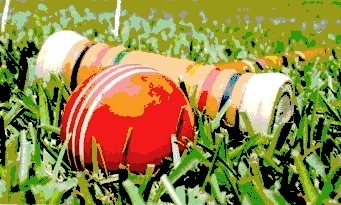 The 18th we will be hosting with the 5:30 to 7:30 a Strawberries and Cream event with a Croquet Challenge. This is part of our exchange for use of the Tennis Center. This is to celebrate the Wimbledon croquet-tennis connection and to recognize the use of the Center.